Since his debut "Ghostwritten" David Mitchell's novels have dazzled. Perhaps culminating in the tour de force that was "Cloud Atlas" where it's Russian-doll story structure saw him as equally at home in any genre that he had a mind to take on. For a writer with such a strong and distinctive narrative voice, his ability to inhabit not only different genres, but different lexicons is far more than ventriliquism. "Cloud Atlas" was almost uniquely a critical and popular success, getting Richard & Judy "good read" status, as well as being lauded by literary critics. Any publisher who asks his writers to repeat the same book time after time should be sat in a closed room with Mitchell's complete works for a re-education on what is possible. Following his novel about growing up in the 80s, "Black Swan Green," his fifth book tells a single story, and is set in a highly specific historical era. "The Thousand Autumns of Jacob de Zoet" sees a new administrator, Jacob, join the small Dutch settlement at Dejima, a portal into an otherwise closed Japan. Jacob arrives in 1799, his role to uncover the corruption that has taken place. Dejima is literally a portal, with Nagasaki all but closed to the foreign visitors, and the Japan that lies beyond it an unknown country, like North Korea today. The interpreters who translate from Dutch to Japanese are as much diplomats as linguists. By giving us not one, but two unfamiliar worlds, the Dutch trading post, and the Japanese empire, Mitchell asks a lot of his readers, for there is little here that is familiar. A historical novel it might be, but his technique is similar to Hilary Mantel's in "Wolf Hall", immersing the reader from the start in the details of the situation. And similar to "Wolf Hall" this world we inhabit is not only a strange, and somewhat mystical one, but one of scarcely comprehensible savagery. From press-ganged sailors, to the half-caste offspring of Dutch traders with their Japanese concubines, everyone is some kind of prisoner. Whilst the Japanese state is forbidden and formidable, stratified by family names, Shogun power, and the desperate lives of poverty that many of it's people live in. And Dejima in 1799 is a quiet spot on a tumultuous planet, the beginning, remember of the Napoleonic empire. Jacob, as with the other crew and traders, has come to this far end of the earth to make something of his life. The world he has known is meanwhile collapsing behind him. Yet, "Thousand Autumns" is more than just a historical tableau but a love story, for if Jacob is an outlier amongst the Dutch traders, the beautiful but scarred midwife Orito Aibagawa is unique amongst the Japanese. The only other women allowed onto Dejima are prostitutes, but she has gained permission to study under the Dutch doctor Marinus. If Jacob's falling in love with Orito is the key narrative driver of the novel, it also creates an impossibility for Mitchell, for the historical reality of Japan appears to offer no way that Jacob can help Orito. When Orito is spirited away to a possibly terrible fate, there is semingly nothing that Jacob can do, yet Mitchell's dexterity brings us a proxy in the equally lovelorn translator, who has already risked his life by not exposing Jacob's book of Psalms (all signs of Christianity being prohibited by the Japanese). The most beautiful and one of the most powerful scenes in the novel is when Jacob and Orito are able to have a short space of time together. Here, as in many other parts of the book, Mitchell's dazzling prose goes up several gears. Yet, Mitchell is not without his surprises, and the impossible plot, simplistic as it is, carries on in unexpected ways. We join Orito in her new prison, and later we have the "Black Swan" of an English frigate appearing on the horizon, jolting this enclosed world into the main wave of European events. What it is impossible to convey in a review like this, is the sheer joy of reading this novel. If there are moments when Mitchell's flashiness seems too much for the material it's describing, the sense of immersion in a world of difference is so fantastically rendered that you wouldn't want it any other way. When the book was featured on "The Late Review" the reviewers complained about the book being too cleverly written, overwhelming the story. Yet, the story is hardly there at all - other than to give a welcome narrative drive. Instead, Mitchell gives us a small cast of carefully drawn characters whose every move is under scrutiny, not just of us as readers, but of the world in which they exist. The horrors of that world, like in Hilary Mantel's Tudor England, are put clearly at the door of superstition and tradition. This is an enlightenment novel, where not only Marinus's teachings have given Orito a power to save many of the pregnant women under her care, but where, later in the book, Jacob's Dutch-Japanese dictionary has spread throughout schools in Japan. Whereas the novel does plunder quite a number of tropes from magic realism, Mitchell is exemplary in being true to his world, so that even his denouements are perfectly considered for their possibilities. From its beautiful woodcut-style embossed cover (in the hardback), to it's intimately detailed portrayal of a world that was not just unknown to me, but might seem unknowable, to it's simple but powerful narrative, to Mitchell's linguistic extravagance, "Thousand Autumns" is a remarkable novel. Longlisted for this year's Booker, I think that as more readers encounter it's treasures it may well be unquestionably the book of 2010. 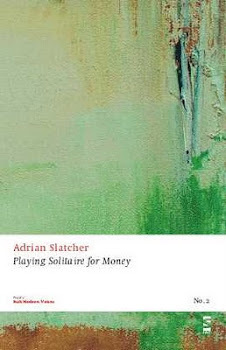 Damn you, Slatcher, for making it sound so good and adding another book to my list... Now I'm going to have to read it on holiday! It's one for wallowing in. Have a nice holiday.